Need a companion for your waterproof iPhone case? 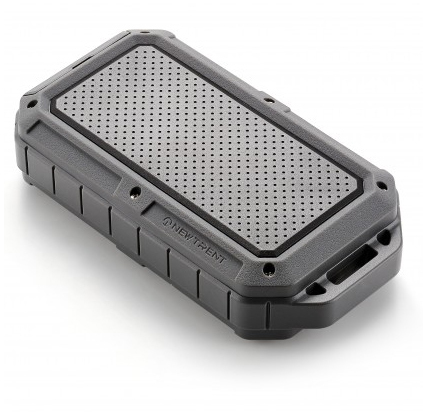 New Trent has recently unveiled a unique accessory – a rugged external battery pack. The 12,000 mAh PowerPak Xtreme weighs in at only 9 ounces, but it can recharge a completely dead iPhone 5s around eight times and double the battery life of a third-generation iPad. Dual USB ports also allow users to charge two devices at one time. And the battery pack is designed to weather extreme environments. With a durable, matte exterior finish, the PowerPak Xtreme is waterproof when submerged in 3 feet of water for up to an hour. 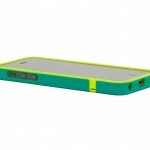 The thermoplastic casing is also built to withstand drops of up to 3 feet. Here’s a short video that gives a better look at the battery pack. Click here if you can’t see it. You can snag the PowerPak Xtreme for a very reasonable $59.95 on either Amazon.com or New Trent’s site. That’s easily one of the best values I ever seen for such a large battery pack. The rugged and waterproof design is definitely another plus, and users should be able to take it pretty much anywhere outside without having to worry. 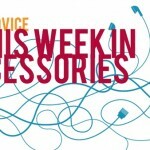 For other recent accessory news, see: PureGear's Retro Game Cases Bring iDevice Gaming Outside Of iOS, This Week In Accessories: iPhone 5s And iPhone 5c Case Madness, Part 1, and STM Has You Covered, Launches New Cases For Apple's iPhone 5s, iPhone 5c.